2012 Reprint of Original 1898 Edition. Exact facsimile of the original edition, not reproduced with Optical Recognition Software. This might be considered a companion volume to "With Christ in the School of Prayer," and a further elaboration of the same great theme, that is, the importance and power of prayer in the Christian life. A valuable appendix, entitled "Pray Without Ceasing," contains prayers for a month. Also includes other aids and guides to the life of Prayer. 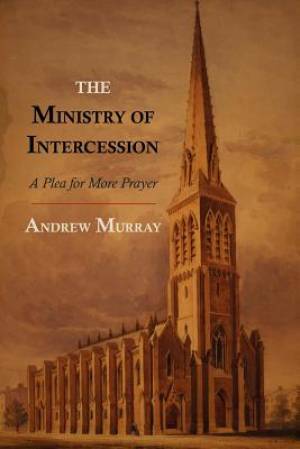 The Ministry of Intercession: A Plea for More Prayer by Andrew Murray was published by Martino Fine Books in April 2012 and is our 44150th best seller. The ISBN for The Ministry of Intercession: A Plea for More Prayer is 9781614272748. Be the first to review The Ministry of Intercession: A Plea for More Prayer! Got a question? No problem! Just click here to ask us about The Ministry of Intercession: A Plea for More Prayer.